CAP Col Brian Bishop will not complete his term as Pacific Region Commander which was originally scheduled to end in April of 2017. 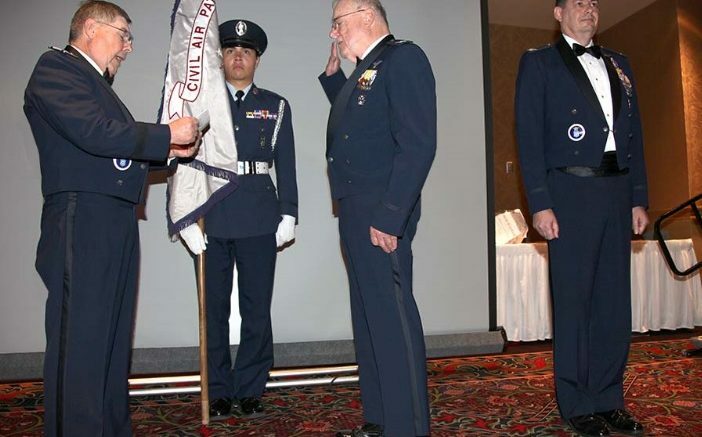 CAP Col John Longley has been appointed Interim Region Commander and accepted command of the Pacific Region on October 29th at the Nevada Wing Conference. Col Virginia Nelson will continue as Region Vice Commander. Virginia Nelson served as California Wing Commander from October 18th 2003 to March 24th 2007. She was appointed Pacific Region Vice Commander in 2013. Interviews for the permanent command position will be conducted in December and a permanent command change will take place before the end of 2016. Be the first to comment on "Pacific Region Transfers Command"